With all the bells & whistles, plus all the latest safety festures, the more complex electrical systems. The structure and composition of the wiring throughout your vehicle is crucial to it’s performance. Any disruption to the wire system, your favorite technological features may not work properly, if at all. Also, the dashboard lights and alerts may randomly go off if there is something wrong with a vehicle’s electrical system. The factory trained certified technicians at Speedcraft Nissan have the knowledge and skillset to find the root cause of your vehicle’s issues, and are able to fix them in a timely manner. Whether you really need to check your engine, or if the light is on simply due to a bad sensor, our Nissan service technicians use the most up-to-date diagnostic equipment when looking at your vehicle to ensure they pinpoint the exact location of the problem. 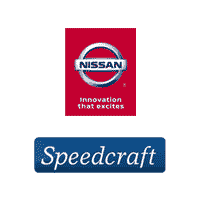 Speedcraft Nissan, Exit 8 off RT 95 in RI, we’re committed to make the replacement of your vehicle’s batter as hassle-free as possible. Our expert staff is here to help replace your battery in the even that it should die. We pride ourselves on giving all of our customers the best service and results in the Providence area. The service technicians at Speedcraft Nissan use trusted and genuine Nissan parts when working on your vehicle. Nissan parts have been specifically designed to make each Nissan vehicle perform the way you’ve come to expect.